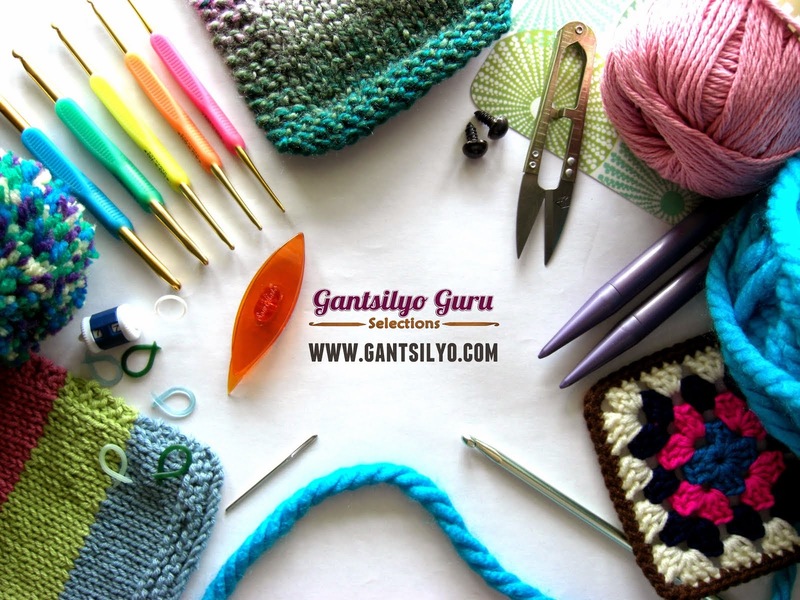 Gantsilyo Guru: Susan Bates® Crochet Hooks Are Here!!! It's official! 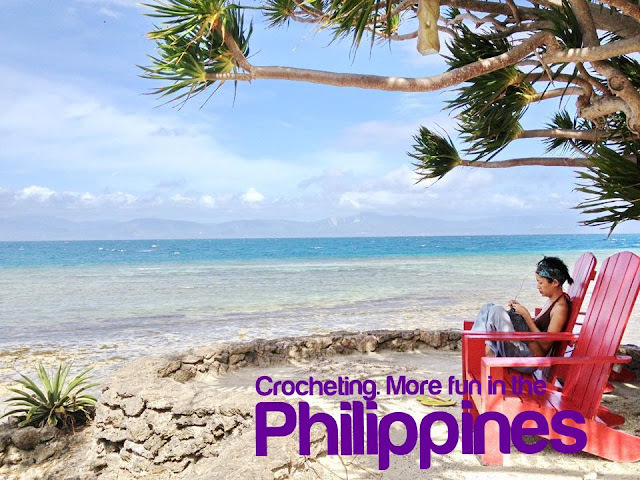 Susan Bates® crochet hooks are already in th Philippines! The first offering is a set of 6 pcs. 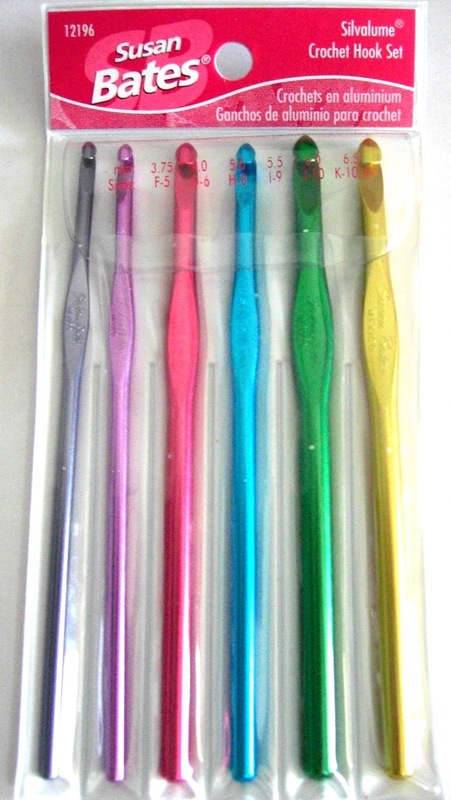 of Silvalume® aluminum crochet hooks. A set is PhP 460 (exclusive of delivery). Email me at gantsilyoguru@gmail.com if you are interested to get your own set. "These hooks have the broadest size range within the Susan Bates family of hooks. Made of lightweight aluminum; each Silvalume hook undergoes a special anodizing process that etches away all surface impurities. In addition; each hook is heat treated for strength and durability and polished for a velvety smooth finish. Each size is color coded so you can find the size you need at a glance. Our famous in line head helps reduce wrist motion for fatigue free crocheting and helps you maintain a more consistent gauge." The set already comes with this vinyl case. As you can see, one set includes the following sizes: US F5, G6, H8, I9, J10, and K10.5 (3.75mm, 4mm, 5mm, 5.5mm, 6mm, 6.5mm). If you're curious about conversions, go to this link to check the different crochet hook sizes. 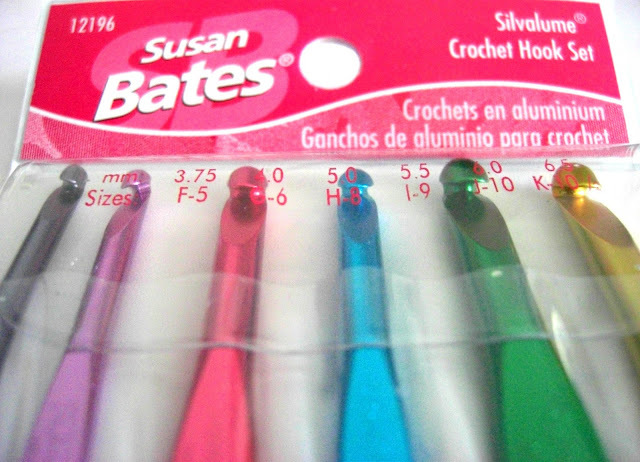 I bought my set of Susan Bates hooks from Dreams Yarn Shoppe maybe 5 years ago. Nag-iisa na lang na set and kulang ng isa or dalawa. I wish you'd sell them by piece. Thanks.